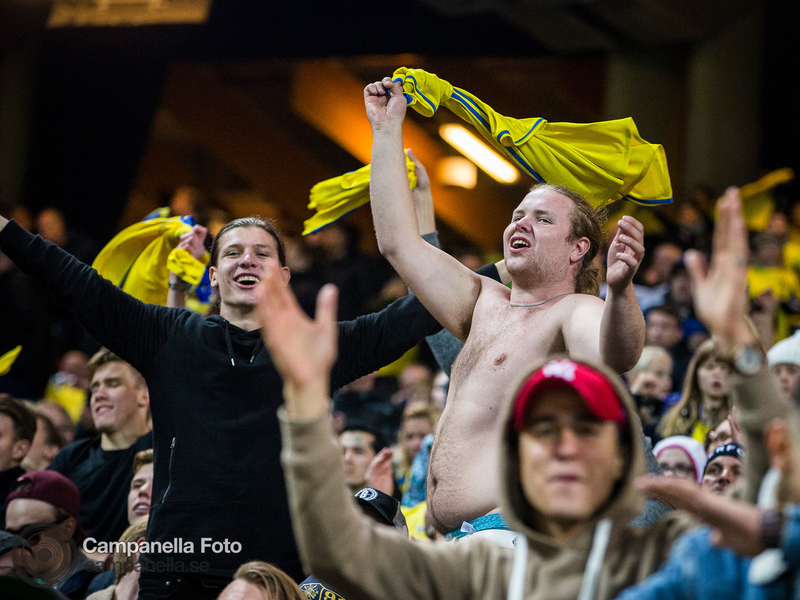 It was an absolutely crazy night at Friends Arena as Sweden humiliated Luxembourg 8-0 in their FIFA World Cup Qualification match. You knew from that start that it would be a good evening. 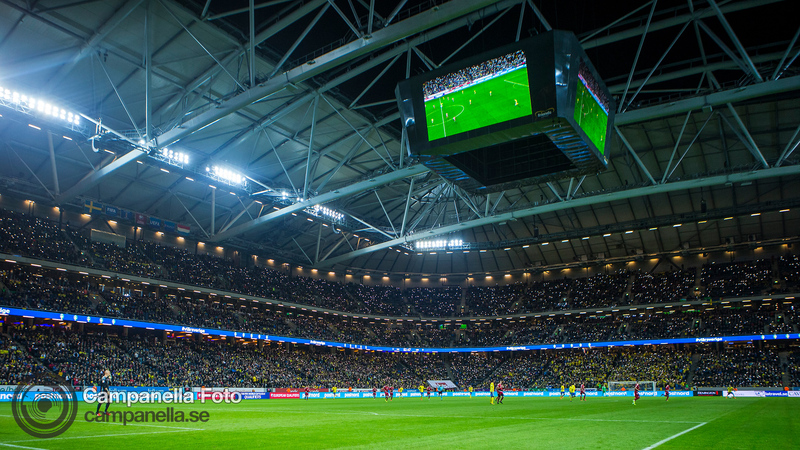 A new attendance record was set as over 50,022 people attending the match. Boy did those people get their money’s worth. 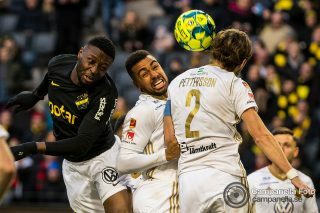 The scoring began after just 10 minutes when Ola Toivonen was fouled in the box and a penalty was awarded and quickly converted by Andreas Gransqvist. 8 minutes later Marcus Berg doubled the score to 2-0. Berg would go on to score his second before the half was up. One might have expected things to slow down in the second half but Sweden instead ran away with it. Berg opened the second half and scored a third. 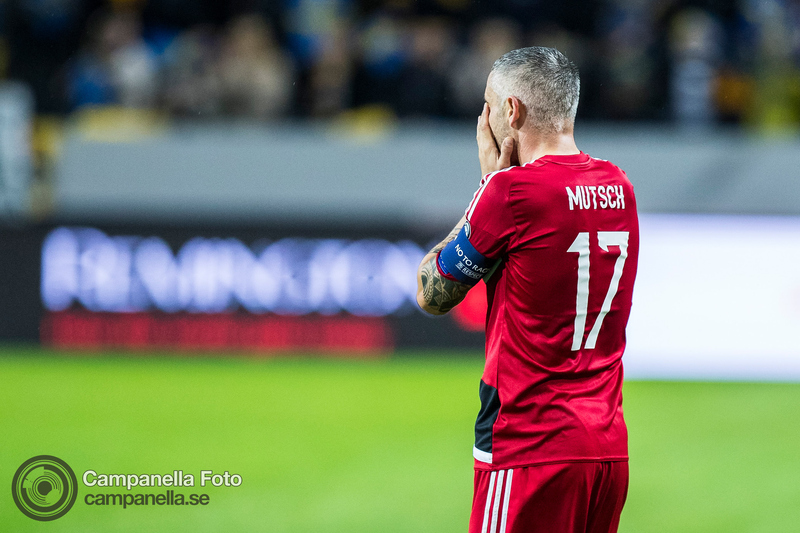 Mikael Lustig would score the 5-0 goal just 5 minutes later. Granqvist scored his second when he converted another penalty to make it 6-0. Marcus Berg then went on to score his fourth goal of the night making it 7-0. Finally Ola Toivonen found his way on the score sheet to make it 8-0. Interesting aside the coach of the Netherlands, who is in Sweden’s group, was interviewed before this match and was asked about what would happen if Sweden scored 8-0 and made it near mathematically impossible for the Netherlands to qualify for the World Cup. He dismissed the report’s question as a stupid question and something that was impossible and would never happen. 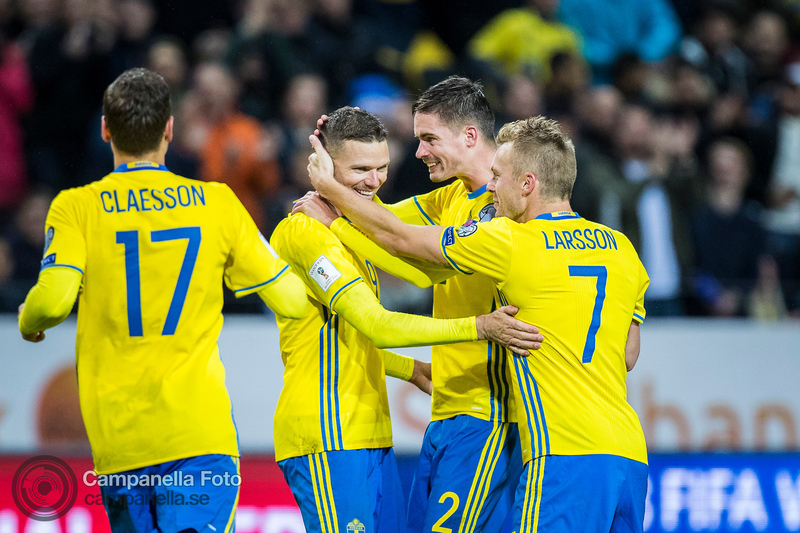 If you read my blog regularly then you know I’ve been a pretty big fan of the work Sweden coach Janne Andersson has done since taking over. This victory was well deserved. 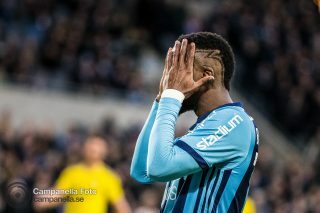 You probably should not read to much into it because they played an opponent who did not exist on the pitch. However it was well deserved. This team has looked great and done a great job in the group. To win and win big getting a nice confidence boost before the final qualifying match is something I think they really deserved. 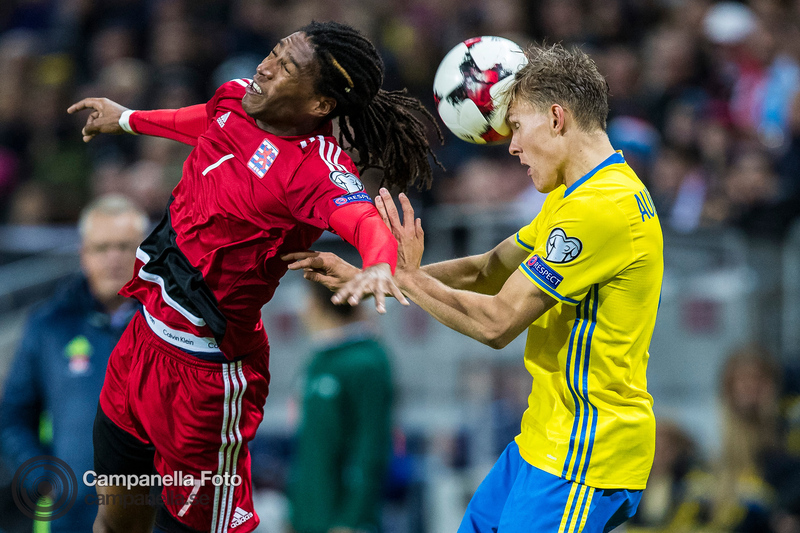 It looks very likely that Sweden will have to do a playoff match to make it to the World Cup. I’m kind of hoping that they end up meeting Italy. Let me come out right away and say this Sweden could upset Italy in a playoff match. So I’m not saying it out of some football snobbery. But I’ve always wanted to cover a match between Sweden and Italy. If it was to happen it would be pretty cool. An opportunity for some photographer friends from Italy to come to Stockholm and an opportunity for me and some Swedish photo friends to go down to Italy.